Christmas is in the Decorations! Dark nights. Frosty Mornings. Cinnamon infused hot drinks. Think its fair to say the festive season has finally arrived! 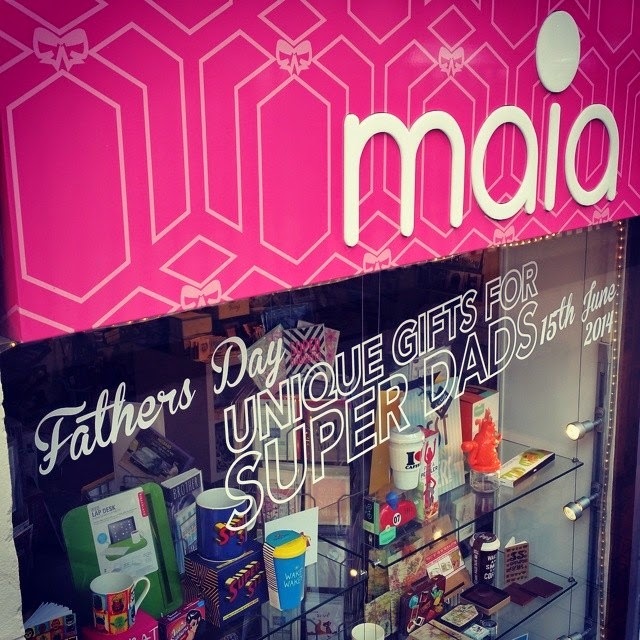 So here at Maia we thought we'd show you what we've got in store (quite literally!) for Christmas 2016 when it comes to decorating your home for the happy holidays! Whether you're a Traditional Elf or Sparkly Mrs Claus, we have a little something for each and every home this Christmas. So go on and have a look at what we've got for you and make your home just a little bit more magical this year. Copper has been everywhere this year so why not incorporate it into your home this Christmas. Our copper baubles are ideal for the on trend fashion guru whose home is an outward expression of their own banging style! With a mixture of our copper wire hanging decorations such as the stunning Star Wire decoration to our trendy Diamond Bauble, it may be harder than you think to pick a favourite! If wire decorations aren't your thing but copper still is our Copper Scalloped Bauble may be the one for you. Now that you have your tree looking 'FABULOUS', its time to draw your focus on the other little bits and bobs to complete your 'Copper Crimbo' home. With the chilly weather comes the use of candles (saves on the heating bills right?!) so add a little touch of chic with our selection of rotaries from Angels to Deers both available in warm copper. And last but not least our best selling Copper String Lights create that simplistic yet stunning glow for all fashion gurus! Go on and make granny proud this festive season by hanging up the homely decorations! Why not check out our Bear in Scarf collection and give this little fella a home this holiday? Choose from our Bear Scarf Bauble, Bear in Scarf Xmas Sign and not to mention the plenty more we have in store! And you can't forget our Festive Mice Standing Decoration which is sure to be a favourite among the kids. Continue on the Christmas magic with our 25th December Sack, an ideal sack to keep all those prezzies safe and to keep the kids guessing (and the adults too!) right up until Christmas day. Nothing screams Christmas more than snowglobes and here at Maia we're all about the snowglobes, from our Santa Snowflake Snowglobe to our Wonderland Angel Snowglobes. So go and embrace traditional this year and remember...Granny would be so proud!! Christmas is all about the glitz and glam and if that sounds like you then we've got the perfect decorations just for you! So if you're looking for something a little subtle but still just as fabulous as you then have a wee peak at our Pink Fantasy Bauble, a simply yet eye-catching bauble which is sure to make an appearance each and every Christmas! Now when we said glitz we meant glitz! So redefine the idea of a 'Christmas bauble' with these stunning 'Oh So Pretty' baubles which are available in six different designs. Think we can agree these are baubles we want to keep up all year round, am I right? Here at Maia we love quirky and nothing gets more quirkier than our Fairytale Frog Decoration or our My Little Horsey Decoration, both bringing a little bit of magic to your Christmas tree this year. The classics never go out of fashion so this year we thought we'd help you add to your classics with a few of our own. From our range of Stag Baubles with their elegant touch of gold glitter and wooden cut outs to our stunning Winter Blizzard Bauble crafted from fine clear glass and delicately decorated with silver glitter allowing it to bring a sparkle to your home. Metallics are a great way to keep your home looking bright and shimmery this season with little effort, as you can see from our Metallic Tree Decoration to our Snowman Rotary . We believe everything should look simply stunning this Christmas and that includes the stockings too! So keep the classics by having this beautiful Little One's White Stocking hung on the fireplace this 25th December for your little one to enjoy! So this festive season lets get into the Christmas mood! Stick on your Christmas jumper, blast the Christmas tunes and let's get our homes ready for Santa Claus! It's never too early to be excited for Christmas right? !